Hyundai South Africa has a knack for introducing affordable, well-built and luxurious vehicles. There was a small blip in excitement when it launched the Veloster a few years ago, but that particular car never received a GTI-like following locally. 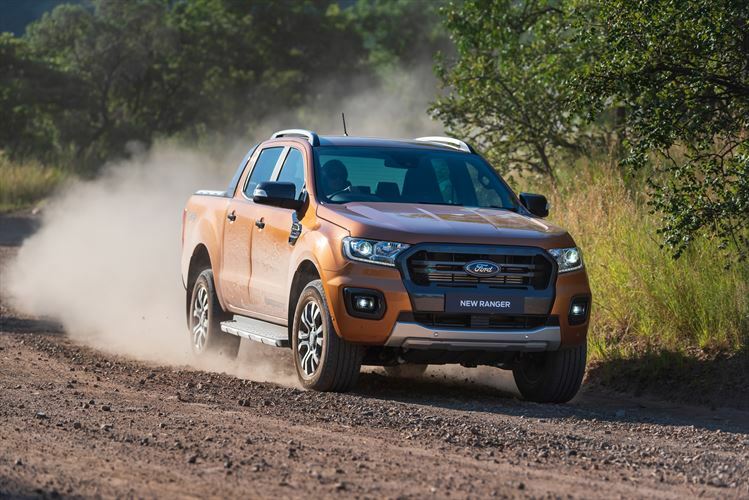 For the most part, its cars are of the pragmatic variety which is a business model that has served it extremely well thus far. 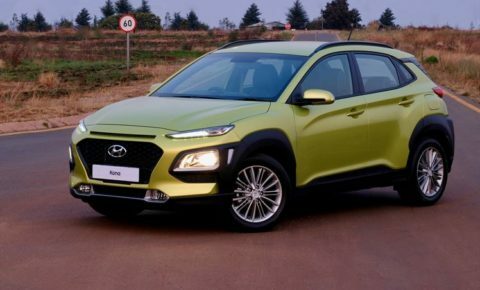 Enter the all-new Kona, which is Hyundai South Africa’s wildest car by far and not just from a design perspective. 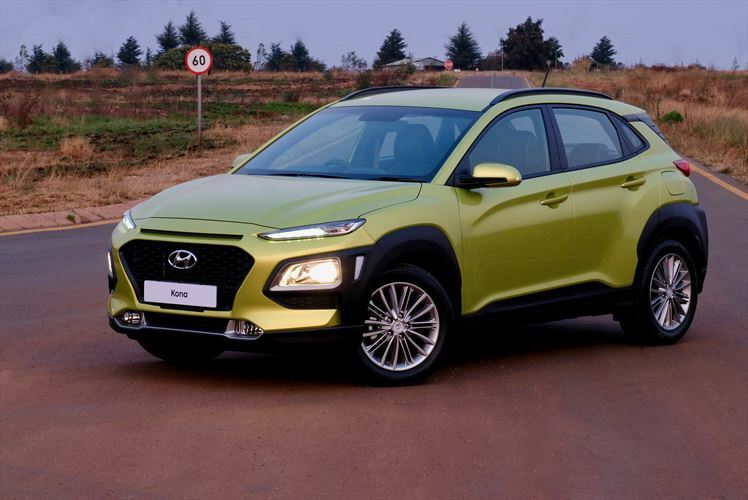 The arrival of the Kona also proved the perfect opportunity to introduce the brand’s small capacity turbocharged three-cylinder engine. Before we get to that, let’s tackle the elephant in the room – the styling. Considering public opinion on social media, as well as our own feelings on the design, we believe this to be a Marmite car – you either love it, or hate it. We find ourselves in the love camp, simply because it just doesn’t look like anything else on the road. Sure, the Citroën C4 Cactus had the same slim headlights, but the rest of the Kona is fresh as a daisy. We’re not fans of yellow cars in general, but the greenish yellow hue of the “acid yellow” is particularly alluring. The interior of the Kona come with two distinctive colour themes: Lime, for the Acid Yellow exterior colour; and Red, for the other four exterior colours. 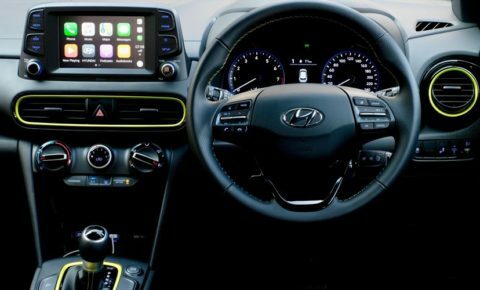 The interior colour accents are featured on the air vent surrounds, around the gearshift, the engine start button ring, the stitching on the seats and the steering wheel. The all-new Kona comes with a host of convenience features including air-conditioning, rear passengers’ arm rest with cup holders, and the 7-inch infotainment system that links to CarPlay on Apple iPhones or Android Auto on Android cell phones. That enables, among others, the display of the music and navigation applications on the centrally mounted touch-screen. Remote control buttons on the height and reach-adjustable steering wheel enables the driver to operate the speed cruise control, answer phone calls, toggle the onboard computer’s information screens and change radio stations or mute the sound system. 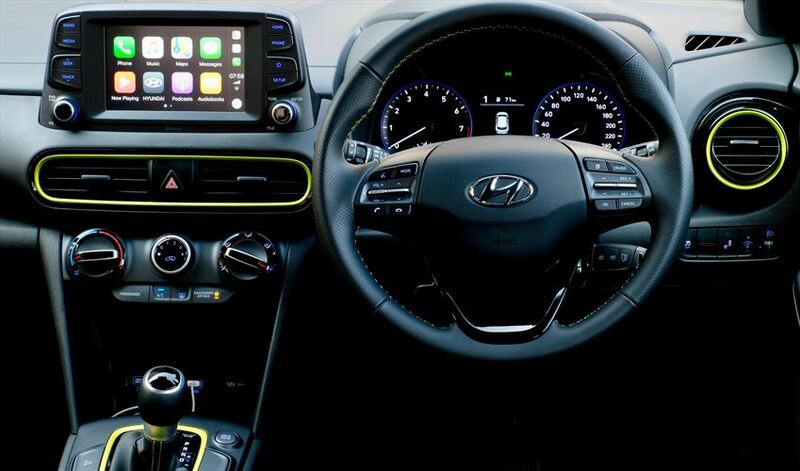 The onboard computer offers a wide variety of information, including instant and average fuel consumption, while the display in the instrument cluster in front of the driver also displays the tyre pressure monitor which is standard equipment. Two engine options are available. 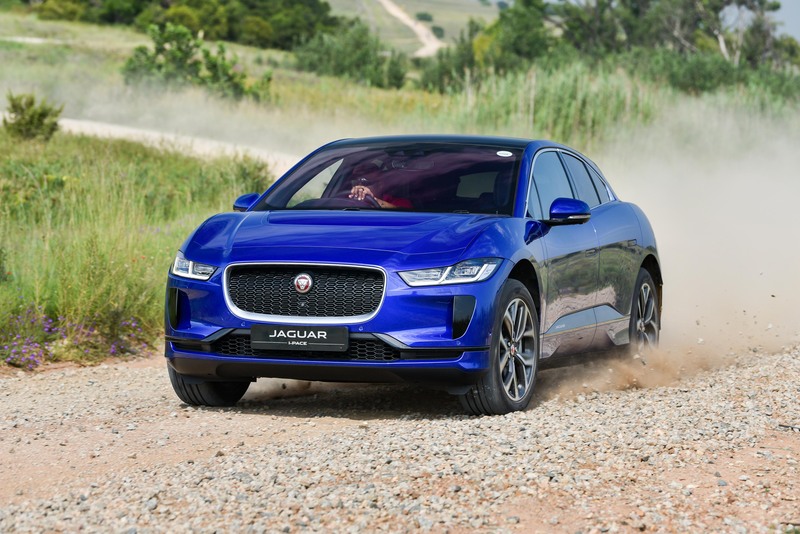 There’s a brand-new 1.0-litre turbocharged three-cylinder and a naturally-aspirated 2.0-litre four-cylinder. The former is only available with a six-speed manual, while the latter is only available with a six-speed automatic. We actually liked the 2.0-litre car more on the day, if only because of its automatic gearbox. It’s quite old-school compared to the turbocharged unit, but it still packs a healthy 110kW and 180Nm of torque. As for what engine is the better option is up to the buyer. The turbocharged model works better on the open road, while the larger engine works better in the city because of its automatic gearbox. It’s a pity the smaller engine isn’t available with a self-shifter, as that would have been an epic combination, but the bigger engine does a decent enough job. 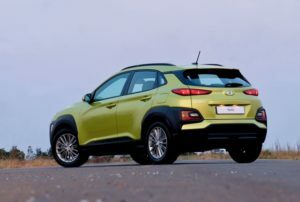 The Hyundai Kona is one of the safest cars in its segment, confirmed by the five-star safety rating that it achieved in the European New Car Assessment Programme (Euro NCAP). 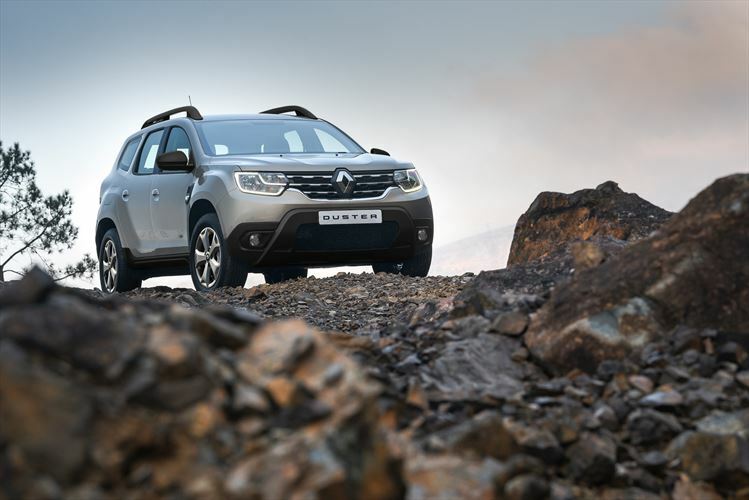 The active safety features include an Anti-skid Braking System (ABS), Electronic Stability Programme (ESP), Downhill Brake Control, Blind-Spot Collision Warning and Rear Cross-Traffic Collision Warning. 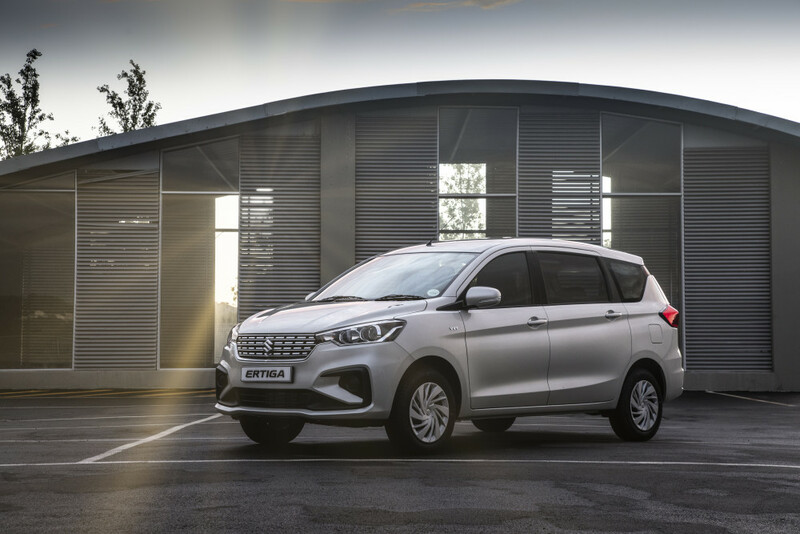 Passive safety features include driver and front passenger airbags, complemented by curtain and side-impact airbags. 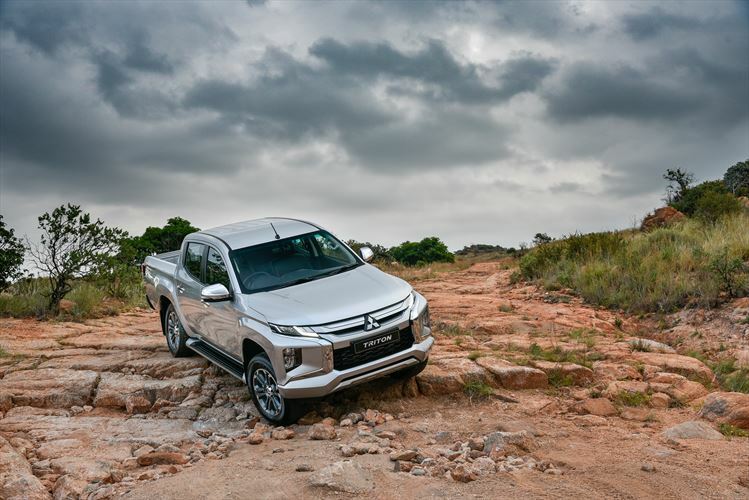 It includes a 7 years/200 000 km manufacturers’ warranty (comprising the 5 years/150 000 km warranty with a 2 years/50 000 km drivetrain warranty); a 5 year/90 000 km service plan; and 5 years/150 000 km roadside assistance.